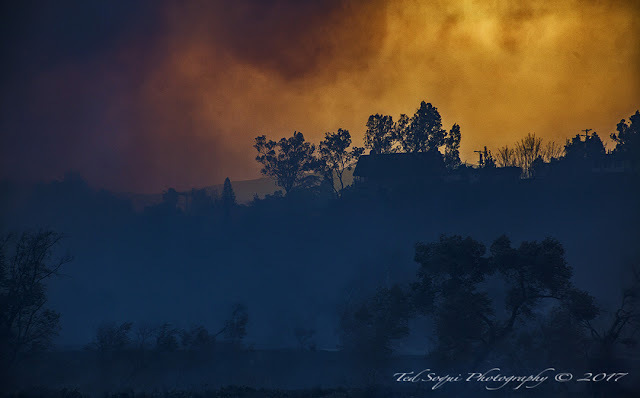 A Santa Ana wind wild fire named the Creek Fire burned in the Sylmar area of Los Angeles. 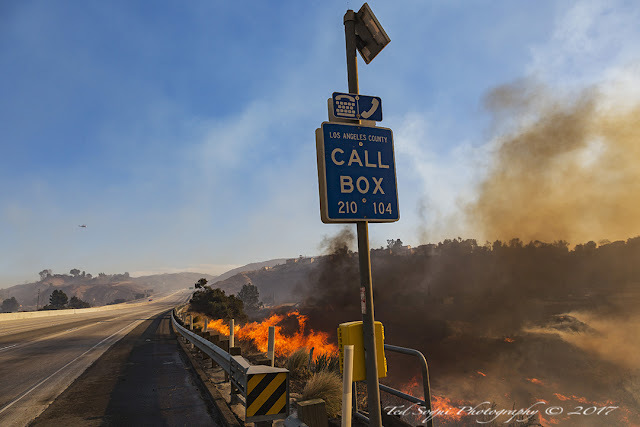 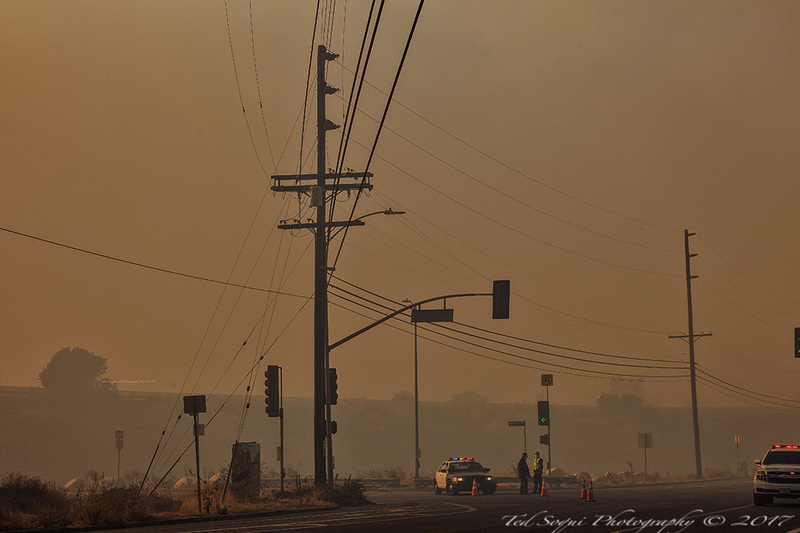 30 plus structures were burned and the 210 freeway was shut down to traffic due to the fire burning across it. 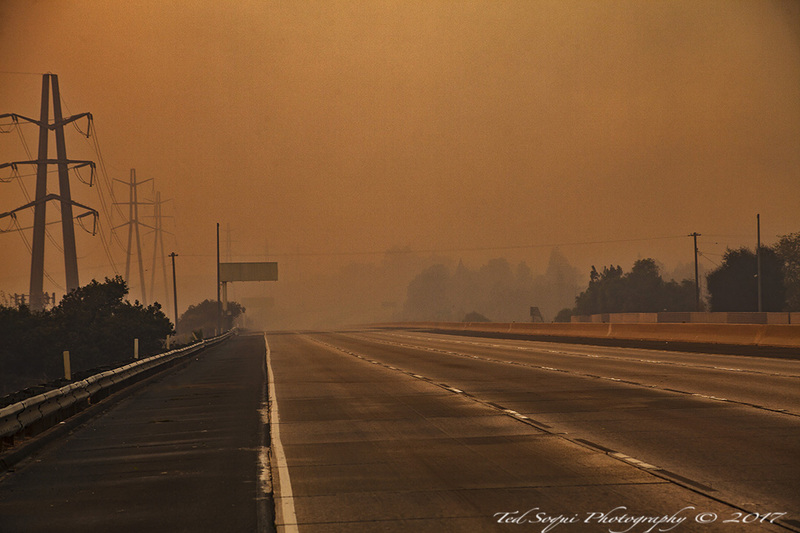 150,000 area residents were evacuated from the Creek Fire and the 210 will remain closed over night. 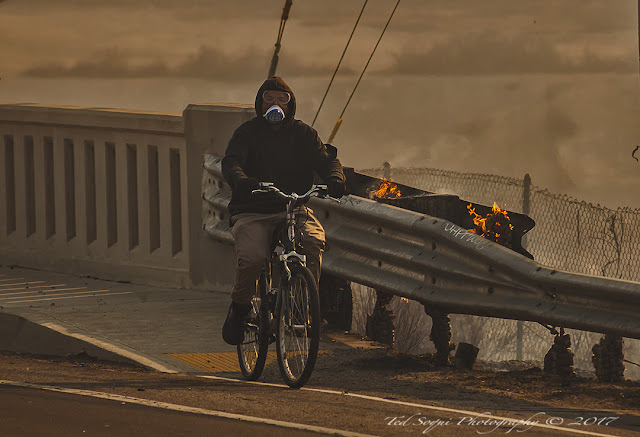 Day turns in to night. 210 freeway closed to traffic. 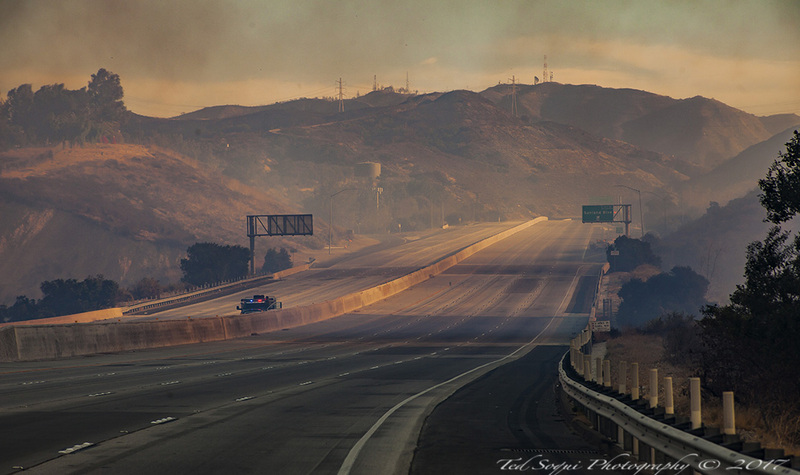 The fire jumping across the 210.